A rich and relaxing color palette! 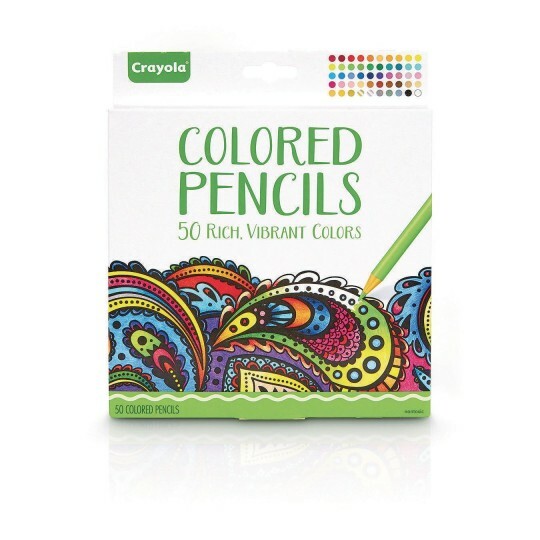 Crayola® Premium Colored Pencils in a rich and relaxing color palette - perfect for adult coloring. Color range is printed on package, making color selection convenient! Includes 50 premium colored pencils in a vibrant array of colors. Long lasting, pre-sharpened, smooth laydown. Non-toxic.